Type Straight, 90A Degree Elbow, Flange, End Cap, Equal Tee, Reducer Straight, Reducing tee etc. 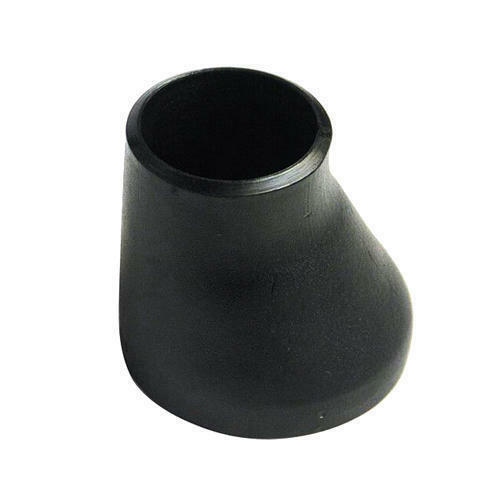 Unlike Buttweld Eccentric Reducers, which is in the shape of a cone, Eccentric Reducers is designed with an edge that is parallel to the connecting pipe. These are specially made for connecting two pipes with different diameters. Constructed with tapered slanted shape with one side symmetrical to the source stream, this type of reducer is used in the installation of pipelines for reducing fluid or gas flow into and out of a pump. On one side, it reduces the flow, and on the other side, when used inversely, it can also increase the flow. We have eccentric reducers made from a wide variety of metals like brass, bronze, stainless steel, iron, aluminum and high-grade plastic as to suit diverse requirements of our clients.